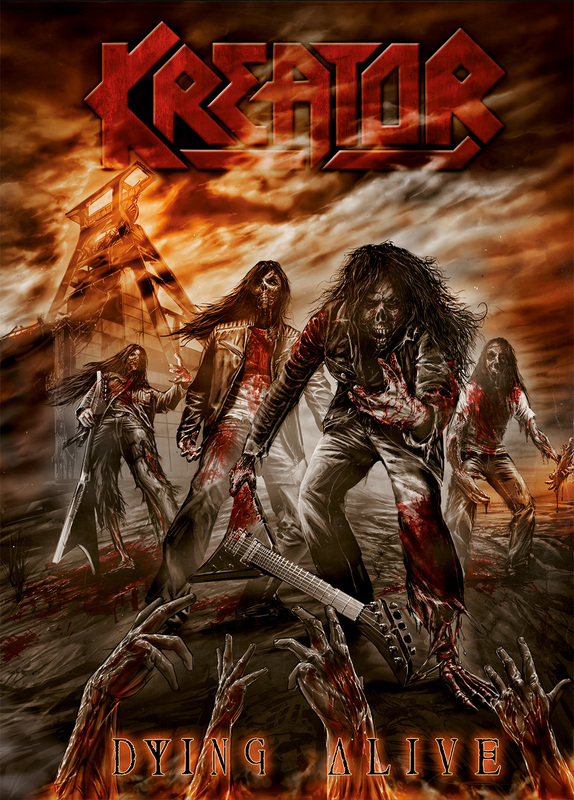 German thrash kings KREATOR have posted a full video track off their upcoming live DVD »Dying Alive« (OUT: August 30, 2013 – Europe // September 2, 2013 – UK // September 3, 2013 – US). 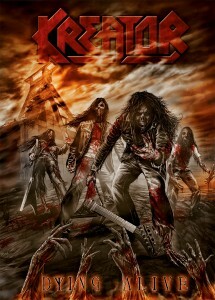 Furthermore KREATOR have announced an exclusive theatrical premiere for the the DVD at the renowned theater „Lichtburg“ in the band’s hometown Essen, Germany. The premiere will take place on August 29, 2013 starting at 8pm CET. Mainman Mille Petrozza will be present during the premiere and will be available for a Q&A afterwards. The DVD/Blu Ray features the band’s sold out homecoming show in Oberhausen, Germany on December 22, 2012 after an extensive 45 days European tour in support of their highly successful album »Phantom Antichrist«. The packed and sweat driven show was filmed by 24 cameras as well as guitar and even mosh pit cams.